Thoughts and Perspectives of the biblical world of dreams and visions. Mountain Of The Lord Chronicles. I know this journey has become very difficult for you, but I want you to know that you have not failed me, but in truth it is a passage way, a deep bend off the beaten path; yet, it is the way. I am the way, remember that. You are in me, and I in you, WE are in the Father. My Spirit has compelled you to come hither, and you have answered that call; but, it has brought you to this place that feels like a hollowed canyon, where an endless stream has cut through a path for you, and still the waters flow … This the way of the deep, calling. This road I’ve brought you on to travel has, increasingly, proven to be more narrow, and more difficult, as time moves on, still I am with you. Did I not say, “lo, I am with you always?” It should comfort you to know there is no other way for you to go, for you are walled in with me, so deep, so narrow, and so high there can be no wrong turn from here. For we have converged upon the mountain now, there is no where else for you to go. Remember those days your heart would swell with joy when you stood from it, so far? From a distance cool rains and sunsets washed a glory mist upon it, and you wept for the beauty of it. Knowing, someday, someday … Well beloved SOMEDAY has come, for my people are converging upon the mountain of The Lord, and it will test and try you but know this for certain, there was a time when you had many ways that you could choose to go, but you have chosen THE WAY, and have embarked upon its path, did I not say straight is the path and narrow the gate that leads to life and few there be who find it? Now follow me, nothing that you have done wrong has put you here, but it is that ford, that bend, that bridge that is taking you to the other-side, representing those crossings beyond your own ability, that takes you into mine. See my hand extended to comfort you? Though not far from you, have I not always reminded you I am near? Know that your cries are heard by me as much as your silence, you cannot be left alone- your walls are continually before me, as my walls surround you. I am the rock-cut from the mountain of the Lord. Fashioned with out hands, you’re anchored in the cornerstone of the promises of the Father, who is not a man that he should lie, or the son of man that he could be mistaken. Your journey is one of purpose, at the crossing of man’s ability and into the endless possibilities that are mine. The mountain of The Lord increases, my Kingdom is come. We will make our debut, as the church triumphant, they will know those whom overcome as the pillars of the temple, bearers of the weightiness of the glory of the Father, in the place HIS presence abides. “O my dove, in the clefts of the rock, In the secret place of the steep pathway, Let me see your form, Let me hear your voice; For your voice is sweet, And your form is lovely . Confiscating rainbows take them for the Loud. Time drummed arrows hidden in the shroud. See? They seize land, Sky, and water, turn them as a loan. The Dreamers are all transits now, no space, place, or home. Tell me keeper of the scrolls, as time turns the page. Tells them what they want to here; their opiate for the pain. Still, the Charmer’s magic snake, the budding rod consumes. Remember, God is not dead, nor OCCUPIED is his tomb. Have you ever had a wild dream that seemed to go on and on like an epic movie, and when you woke up you thought about it for days wondering WHAT WAS THAT ALL ABOUT?? Maybe some of these dreams are the imagination of an avid movie goer, over stimulated by an action packed night of coke, popcorn, and adventure heroes. But WHAT IF you’re not an avid movie goer, but a prophetic prayer warrior? Joel 2 says GOD IS GOING TO POUR OUT HIS SPIRIT in the last days! Young and old, men and women, boys and girls, are going to PROPHESY, have DREAMS, and VISIONS, before the great and terrible days of the LORD! Recently I was going through my journal of dreams submitted for interpretation, and I ran across this one that I strongly felt was not only speaking to the dreamer but paralleling America, as well. The theme has to do with home invasions. What is remarkable is that one year later I myself would have an epic encounter in a vision of a home invasion, that revealed America would see a mass exodus of illegal aliens. This was in February of 2016, (It is published here at NWP) While at the same time doing the right thing by children. Called The Right Thing To Do. Let me ask you something, if you had a huge pine tree cut down in your front yard while you were sleeping, do you think that would wake you up? AMERICA has been invaded and taken over by something other than herself, and we are just waking up to that reality. We are at a war at our very thresholds and only God can give us victory. Whether you get this prophetic process or not, whether you comprehend this prophetic dream or not, there is one thing you should take from it. We are in an era of great spiritual warfare that could very well manifest itself into an epic disaster for American lives, if we don’t get up and run to the battle, before that battle comes to our streets, our doors, and into our homes. SPIRIT WARS is an epic MOVIE that is not only COMING SOON, it is already here! Dreamer writes: Thank you so much for taking the time to pray and respond to my request! This has been very encouraging, and I will spend time reviewing this and praying into it and responding to the wisdom here! Yes, our family has undergone tremendous attack, but each day, I am drawing closer and closer to Jesus and being more encouraged to hang on and press through. Thank you so much again! My words just can’t express how much this has meant to me. I dreamed I was at my parents’ old house in our old city, and I was having an adult slumber party with some of my girlfriends. We were set up in the living room with mattresses on the floor. It was dark out, but we had the lights on inside. An intruder burst in the front door – it was a home invasion – and he was armed and shot me in the right thigh. I went down, and he stayed a little bit, and then he left. As soon as he left, I was able to close the door and lock it. I looked out the window, and a big jack pine tree had been cut down in the front yard at some point, and there were some branches down in the yard still, and some chunk slices of the trunk by the front walk (like how you cut a tree for firewood). I went back to the mattress. I was looking at the mattress at where I had bled from being shot in the leg, and there was quite a bit of blood on it. I looked at my thigh, and I saw the wound, and I saw that the bullet was in there. It looked white. Then they finally got me into an examination room, and they were trying to help me up on the bed, but by this time, the baby had grown so much that it was the size of a real baby. From the time it had first just popped out of my thigh wound to 5-10 minutes later, it was a full-sized baby. I got up on the bed, and I was just holding it at my leg, and yet, it was acknowledged that I had been shot, and it didn’t make sense how this baby was a part of it. Then somebody in the next bed asked, “Didn’t you see the intruder outside”? And I said, “No. If there was any inkling that there was an intruder at the window, I would have seen him.” Then, there was a window on the bottom right side of my bed near the floor, and there was someone there that grabbed my hand, and I shook it off. Then I noticed my old friend, ——was in another bed and she had just had another baby. In the dream, I was very firm that I had wanted my son to be the one to document this. The response to this dream includes adjustments to broaden its application to include what I believe is prophetic insight for what America is facing now. Not that your battles are uncommon because of neglect. For they are common reflecting our world we live in; what is uncommon, and heroic, is your response and faith because you are displaying that we are more than conquerors through CHRIST Jesus. These are extraordinary battles because of the threat our families are to the kingdom of darkness. Above all else we can be sure of this- Nothing can separate us from the Love of God that is in Christ Jesus. A dream that parallels the CHURCH in many ways in the light of these end times. Beloved, this is a dream revealing spiritual warfare that transcends generationally, manifesting itself in your life time, simply, because the days are evil. It is a work of darkness that has been transpiring for a significant amount of time outside of the realm of discovery until it has come upon you, like a home invasion. Literally, like a thief in the night. What the enemy did to the tree outside is what the thief attempted to accomplish against your family on the inside. I see it as the same assignment he wishes to accomplish against the Church in America. This is warfare, a hit against your family line. Trees represent legacy and heritage. The sleeping party (state of the Church) (celebratory yet sleeping) is the recently present state that this invader has intruded upon, where you have suddenly found yourself in a fight for your life, a massive amount of blood is lost, the girl friends represent many fellowships or Churches that are the sleeping PARTY type. The window provided spiritual watchfulness but no watchman was watching. In retrospect you discover (through prophetic sight-fullness) the degree of vulnerability your family has been suffering, this answers the question “No one heard a Jack Pine being fallen in the front yard, no one saw anything through the window?” We need to exchange our sleeping parties for a war party, whose watchman stand through the night, WATCHING. Nevertheless, this home intrusion is behind you now. Getting shot in the thigh is a wound you were astonished at. You have suffered astonishment over much that has happened. It has caused you to require a season of rest and recovery, but you are witnessing a supernatural occurrence right before your eyes. What Satan has tried to hobble your strength with, to destroy you with (the white bullet). Though MEANT FOR HARM, it will only work for your good, as you continue in your faith in Christ. You are also standing in a forunner’s anointing in your personal resolve to overcome. This will show the way for the bulk of those around you (Body of Christ) who will experience a similar rude awakening on a much larger scale, corporately. Out of it comes supernatural, and miraculous New Life. The gestation of it will not be hidden from you, but present it self in the seen realm. Those with you will benefit from watching your rebound, as well. As you continue to nurture your own personal recovery you will grow in amazement, watching what God is performing before your very eyes. The flowering stage is the end game regarding this hit against the promises of God, the pod of seeds are presenting multiplied potential, nurturing new works, information, promise, and a cluster of giftings that will match and exceed the level of satanic Intel it takes to perform this kind of trespass against families of God. This is the Father accomplishing a spiritual work in you, that will benefit many. Still, a battle presents itself, a spiritually discerned remnant of the battle remains. (Hand to hand combat at the window while in recovery.) Your next dream expounds upon the nature of that battle and updates you on how it is looking now, or what is needed to completely destroy this demonic power. Every battle won is completed by captured armaments.This is understanding the technology of our enemies warfare. Be not ignorant of the devil’s devices. God is bringing light and strategy against the works of darkness. Second dream: Windows and another home invasion attempt, battle at the window until the arm is all that remains, yet it too is overcome. Husband stops to seek knowledge during a lul in the fight scene when in the middle of the fight. Another Ameriican parallel? Another battle at the threshold of French doors where the dreamer makes the attempt to change or straighten a child’s crooked mouth before coming through the doors, but it’s not working. French window door intrusions are battles coming out of the unseen realm and being discerned as the spiritual attack that they are, through prophetic sight-fullness, before they actually occur, through an open door. Warning for a face off. This dream is one that is in a sleeping room, where a bed is. The difference in sleeping in your own bed rather then the living room (as before) is that this is a place you are suppose to be sleeping. This is resting in Christ, able to be alerted and readily available in that alertness. Unlike the first dream which was an eagle eye view of living in a state of slumber (mattress in the living room) a perfect picture of the present Church in many ways. A multi dimensional view of what was, is, and the victory that is to come (as you continue in Christ) as the Church, herself, awakens into watchfulness and prayer. French windows are often windows that open like doors. Because this beast is finding its way through a windowed door, this window type displays a port of entry rather than a break in, this demon has found a door to enter in. It is being resisted, and identified, and you are being prophetically shown where you are at in this warfare. Again, the Church needs this kind of discernment, America needs it, as well. For even France itself is battling a home invasion, seeking to destroy cultural peace. The king pin (muscle head) that presented itself through the windowed door is wrestled out, but there is more to resist, and understanding to gain. The room is woody and rustic because you are fighting a battle with eternal consequences in a temporary world that is perishing. Still, the most difficult part of the battle is in recess. Don’t let up, this intruder is nearly defeated in his assignment. Your spiritual work in warfare has wrought much victory, your husband seeking knowledge is a vital part. ( Or, knowledge seeking on your part.) Between the two types of warfare- prayer and the acquisition of wisdom, knowledge, and understanding, this devil that seeks to kill, steal, and destroy, will be defeated. You will overcome by the BLOOD of the LAMB and by the WORD of your TESTIMONY. Had this beast’s leg remained it would have meant he was rendered disabled. You would have approached it and simply threw him the rest of the way out. Not so with the arm. The arm and hand is still able to seize you if an approach is not well thought out. But, because his arm remains it indicates the need for skill and strategy to rid its presence permanently. These things come not out but by fasting and prayer. Fasting and prayer takes us beyond natural understanding into super natural KNOWINGS and war room strategy. This here is that, through your supplications, prayers, and intercessions God answers us by revelation, knowledge, and understanding, often times through dreams and visions. The dreamer sees family passing through the French doors, back and forth where a battle once ensued. At one point a child’s mouth was crooked and she tried to force her mouth straight to no avail. Once again families will freely come and go, but attitudes will still need to be changed. The third dream is revealing realtime prophetic encounters where familial interaction is passing back and fourth through the windowed doors. You are displaying powerful prophetic sight-fulness in these dreams. They have the potential to solve dilemmas. Here we see a cosmetic suggestion to make the issue better, but understanding the cause of why the child’s mouth is askew is overlooked, again the need to seek knowledge regarding the root of the issue. The Lord desires to perfect you in your spiritual gifting by adding to your prophetic gift words of wisdom, and a greater measure of spiritual understanding, again this may come through your husband as you co- labor, with him in Christ. Your approach to a problem, together, may bring a balanced resolve. As you pray and as he is in the word. Again, America needs to discern the deep issues coming in and out of her open doors, guarding transactions with a spirit of wisdom, and discernment which falls under that category, because what has been coming through America and Europe has not voiced themselves as in allegiance, or alignment, to cultural norms and standards. But rather, has begun to change them. With this cluster of giftings together spiritual maintenance will ensure joy and peace for the generation to come, rather than fending off battles no one sees coming until it is nearly to late. Not that your battles are uncommon all because of neglect, for they are common reflecting our world we live in, what is uncommon is your response and faith to rise up because we are more than conquerors through CHRIST Jesus. They are extraordinary battles because of the threat your family (and the Chrisitan family of God) is to the kingdom of darkness, therefore you are wanted dead or alive. Fight the good fight, and having done all continue to stand, HIS yoke is easy HIS burden is light. His rest is supernaturally refreshing, while our eyes are wide open. I want to say this to Christian America, as well, for her importance to the family of man in the days to come. The last dream you will be encouraging renewal and restoration from loss endured by your heritage where battles have warn them down. So, this is you believing God for the security of your inheritance, posterity, and family legacy. With celebrated joy. And those who gather it will drink it in the courts of My sanctuary. If this ministry has blessed you please share our website and podcasts with others, and consider a gift to help us continue. You can co-labor with NeWine Pouring by going to our landing page and finding the donate button, there. God bless, and we hope to hear from you soon. 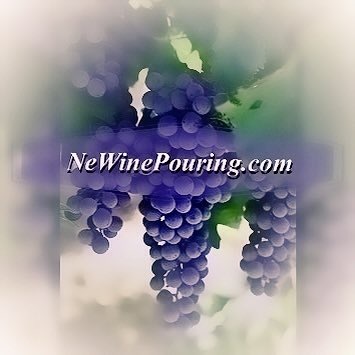 NeWine Pouring is a dream journal website for the prophetic ministry of deana barnes. If you are interested in co-laboring with us by supporting our ministry, go to the NEWINE INTRO TAB @ newinepouring.com for more information, or email us and we will send you a link. Thank you for your dream submission, we hope our interpretation helps. Please contact us if you have any questions. We limit dream interpretation one per month, and can only share when God reveals the matter. We reserve the right to publish dreams interpreted that we believe are of national or international importance. In the event that a dream of yours is interpreted or published, we will keep the dreamer anonymous unless the dreamer specifically asks to be identified and/or website links included. We publish for the sake of the Gospel of Jesus Christ and his Body. Thank you for your interest in NeWine Pouring. If you would like to co-labor with us go to the link below. God bless! NeWine Pouring- Dream Journal is a blog from the prophetic ministry of deana barnes. Dreamer writes: The sky was light blue. A small white cloud appeared and on the cloud four [or three ] American Indian warriors sat on horses. They wore the clothes of the American Indians [Traditional]. They were looking ahead in a similar way that you would see in a movie but instead of a cliff they were on a cloud. They then turned and galloped away. As soon as they galloped away an intense blackness covered the scene. In the corner of this I could still see some blue and what looked like smoke on the edge of the blackness. The dream ended. I do hope the Lord leads you to interpret this dream for me. Be blessed and thankyou for taking the time. Dear One, working for the Lord in Australia, thank you for choosing me to share your prophetic dream. This dream, about four Native American Warriors gathering on a cloud over America, was sent to me by one of my readers for interpretation a while back. Interestingly enough a few days ago she accidentally sent it to me again, while I just happened to be watching a history program with Native Americans in it! Another reader asked about a prophetic word yet to be published last week, and I believe this is that one I was speaking to her about. So I am being prompted to get this out ASAP, so it seems! The thing is prophetic warning or declaration is never for the time it is given. When we release them they are buzzed about for a time and then forgotten. I believe this following dream (which is not one of my own but one I interpreted) is paralleling with events beginning this October 21, with a First Nations prayer gathering in Washington DC., and ending August 21, 2017 with a full eclipse of the sun, over America, because the dream describes a darkness overshadowing the land after four Native American witnesses gallop off. Both the dream and the two actual events are warnings for America to pray and be prepared for a pass over of darkness across the land. The eclipse is a sign and wonder following the dream, that will also be following this First Nations Gathering. The Native American gathering was not known by me at the time this dream was interpreted. Nor did I think about the eclipse having any part of it, at the time. I believe these things are coming together in the time this dream is to be released, publicly. A prophetic word called The Good Friday Prophecy, is a companion prophecy to this. This is when a day or season of darkness over shadows America. A natural heavenly sign of an eclipse in 2017 (designed for the world to take note) because as patterns go eclipses come at notable times in history, given as a sign; for the word of God says the sun, moon, and stars, are for signs and for seasons. I always believe for the better report, that we can delay judgments in national repentance. So I always pray and believe for such a thing, while being in preparation at the same time, for the alternative. I posted a bulletin below for a call to pray by the First Nations community. Who said, “It is time for us to take our rightful place in the body of Christ …” That is why I believe the Native Americans depicted in this dream represents that call to gather intercessors for prayer for America, and is (in fact) that event. Many times the Lord has opened my eyes to His intercessor above the earth in spiritual realms warring in the heavenlies with Christ. So the dream that you will see below was easy for me to interpret. The warriors were intercessors and prophetic scouts for a greater work to do when they return home. They will be given a heavenly perspective of America’s condition and affairs to SEE what war party in the SPIRIT needs to be assembled for the CHURCH triumphant to prevail in these end times. First Nation Peoples praying for America. The emerging darkness in the dream is that which is no longer restrained. The blue sky and clouds on the outer edge, tells us that not all will be covered in this darkness [but it is a passing over] Also, it reveals the promise of God, of a new [day] age or a time of renewal and restoration, [that] will follow. A hint of hope lingering after the smoke blows away. As darkness over shadowed Egypt, a people who was promised to flourish as the sand of the sea and the stars of heaven were spared, they celebrated a holy communion behind the blood drenched doors of the Passover lamb. Those that trust in their God will shine, emanating HIS glory in times of the “Passing Over” our world will see. Psalm 60. Psalm 61. Nevertheless, one thing could occur and would be perfect if America would respond to the Father’s requirements; that the warriors would return with a storm of their own of repentant intercessors of all [fractions], for the first people’s of America are of many nations [as Americans are of ethnic origins] with in ONE nation. This [the First Nations People] also, represents many cultures with in one BODY of believers, whose GOD is the LORD, among all. Many people, tribes, clans and nations, are of the house of God whose son is the Lord Jesus Christ. Ephesian 4:1-6 I urge you to walk in a manner worthy of the calling you have received: with all humility and gentleness, with patience, bearing with one another in love, and with diligence to preserve the unity of the Spirit through the bond of peace. There is one body and one Spirit, just as you were called to one hope when you were called; one Lord, one faith, one baptism; one God and Father of all, who is over all and through all and in all. Dee I was surprised to get such a quick interpretation. I am also surprised that the Lord would give me such a dream because of my insignificance to others not the Lord and I live in a very small country town in ——— and as yet I am unable to interpret dreams. So why give me a dream which is significant to America, but praise the Lord that He led me to this blog. I also felt strongly about having the interpretation. I can add very little extra . The dream was like looking at a large TV screen. The white cloud was in the middle of a clear pale blue sky. Why I thought I saw only three and yet I saw 4 was that one of the warriors stood out. “The First Peoples will have the last say, before America turns her final corner.” – The Gathering Storm Vision. One day there will be a city named New Detroit. Chicago will be delivered of ancient curses and rededicated on a cleansed land. In fact the Great Lakes area will be cleansed from the violence poured out there in ancient times, in its day of renewal. Houses of fellowship called by their attributes will emerge in troubled times before these days of America’s renewal, come to pass. For their legacy and witness will cause many to trust in Christ in this worlds darkest hour. The people in this town or that town will be known by their fruits. Called the people who love others greatly, who pray much, who are very kind, who help, who give much, the saints that bless others, the people of great joy, the house of peace; an under ground stream will flow in and out of these places one to another… The Body of Christ in great darkness will arise and shine. We were created with eternity in mind. This is a global account of our witness in end times, but specifically for America, in God we will continue to trust, in the midst of great trials. In the What I See For America prophecy there will be shakings shaking America down to her Godly roots. Because GoD the Father shows kindness to us that believe upon him to a thousand generations. In other words He will deal with our sons and daughters down the generational line, those who call Him LORD. That is why I believe that America, in her days of adversity, will be in her greatest hour for turning back to the Father, meanwhile there will be pockets and places of refuge; regions even. And America will arise again renewed. Not replaced, not great again. But renewed. if you look into this word given a few year ago, you will see a reference to First Nations. First Nations People Meeting IN Washington DC. This posting on my page is not, necessarily, an endorsement of either parties to one another. I am not affiliated with the ministry, or familiar with it. Their opening statement posted below, reflect NWP’s own commision and values.